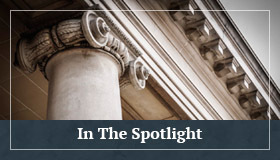 An Expanded View Of The Observation Element For A Bystander Claim Under Portee | Golden Rothschild Spagnola Lundell Boylan Garubo & Bell P.C. Portee v. Jaffee, 84 N.J. 88 (1980), is the landmark New Jersey Supreme Court decision that established a cause of action for bystanders that sustain damages as a result of witnessing an injury-producing event to one with whom the bystander had an intimate or familial relationship. On June 11, 2014 the Appellate Division issued a decision in Litwin v. Whirlpool, A-0186-13T1, (App. Div. 2014), that addressed two of the four elements that define a Portee cause of action; most significantly offering an arguably expended view of the “observation” element. Litwin arose from a tragic home fire that occurred in the middle of the night while Plaintiff and his stepson were at home and asleep. After being awoken by smoke detectors, Plaintiff and his stepson sought refuge from the fire in Plaintiff’s bedroom. At some point thereafter, Plaintiff’s stepson ran out of the bedroom into a hallway full of smoke and flames. Plaintiff called out for his stepson, but heard no response. Plaintiff believed his stepson escaped, so he climbed out and then hung from a second floor window until emergency responders arrived on the scene. After his own rescue, Plaintiff learned that his stepson was still in the home. Plaintiff then had to be restrained from re-entering the still burning home. A short time later, Plaintiff observed his stepson’s body being carried out of the home. Plaintiff’s stepson’s body was, “still burning, smoldering and smoking, with skin melting from his bones.” The stepson initially survived his extensive third-degree burns, but eventually succumbed to the injuries two and half years later. The fire appeared to originate from a defective dishwasher. Plaintiff filed suit on behalf of his stepson and himself against the parent company of the manufacturer as well as a company that performed recall repair work on the dishwasher prior to the fire. The Defendants filed a Motion for Summary Judgment as to Plaintiff’s Portee, or bystander claim, on the basis that: (1) Plaintiff did not directly witness the injury-producing event, and (2) Plaintiff failed to demonstrate that he sustained extreme or severe emotional distress solely from witnessing his stepson being injured. The manufacturer settled with Plaintiff prior to the return date of the Motion, but the Defendant that performed the repair work proceeded with their Motion for Summary Judgment. The Trial Court granted Defendant’s Summary Judgment Motion and held that Portee required, “direct sensory and contemporaneous observation…occasioned by immediate perception.” The Trial Court characterized Plaintiff’s observations as seeing the injuries after the occurrence, which was insufficient. The Trial Court also ruled that Plaintiff failed to show a direct connection between his claimed severe emotional distress and his observations of his stepson’s injuries. On appeal the Appellate Court reversed the Trial Court’s Order for Summary Judgment on both grounds, finding that Plaintiff sufficiently established the elements of his Portee claim to permit his case to proceed to Trial. The Court’s analysis began with a restatement of the four elements of Portee: (1) the death or serious physical injury of another caused by defendant’s negligence; (2) a marital or intimate, familial relationship between plaintiff and the injured person; (3) observation of the death or injury at the scene of the accident; and (4) resulting severe emotional distress. The Appeal concerned element three and four of Portee. As to the issue of whether Plaintiff made a prima facie showing of severe emotional distress, the Court found, in short order, that Plaintiff had produced evidence of a post-traumatic stress disorder related to his observation of his stepson’s injuries sufficient enough to overcome Summary Judgment. The Court addressed, in greater depth, the issue of whether Plaintiff met the observation element. On this point, the Court emphasized Plaintiff’s personal experience during the home fire. The Court noted that Plaintiff was personally in the home while it was on fire, was an eyewitness to his stepson while his stepson was still in the burning home, and that Plaintiff observed his stepson’s smoldering body being removed from the burning home. The Court was satisfied that this experience satisfied the Portee observation element. The Court specifically stated that it was, “not necessary for [Plaintiff] to have been inside his home observing his [step]son’s body burning in order to satisfy the observation [element]…” A key fact pointed out by the Court was that Plaintiff didn’t just witness his stepson being removed from the home, he had also been in the burning home with his stepson. The Court further stated that the “injury-producing event” was the home fire and that Plaintiff observed this event both from inside the home and after he escaped. The Court concluded that the Trial Court erred as a matter of law, “in concluding plaintiff failed to establish a prima facie Portee claim because he failed to actually observe…[his stepson]…burning inside of the home.” The Appellate Court reversed the Trial Court’s Order for Summary Judgment and remanded the case for further proceedings. 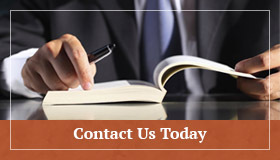 The immediate import of the Court’s ruling in Litwin is the view that a Portee claim Plaintiff need not directly witness the exact moment of injury. For this reason Litwin may expand Portee claims, but the extent of any expansion may at least be tempered by the Court’s emphasis on the Litwin Plaintiff’s high degree of involvement in the injury-producing event underlying the claim. If you have any questions regarding this article, please contact Catherine M. Shiels ( cshiels@grsl.com) or Daniel C. Seger ( dseger@grsl.com) of Golden, Rothschild, Spagnola, Lundell, Boylan & Garubo at 908-722-6300.